Doctor, Gimme the News : Is My Team Already Screwed? College basketball season is in it’s infancy stages. I’m not yet a parent, but I think we all know better than to judge someone on how they were as a baby. We’re all a bit sloppy and not quite ready for all the attention. Several colleges basketball teams can really relate. Coaches, like parents of young ones, are already losing sleep over some early troubles. For some, this is just the growing pains of early season basketball. It’s not even Thanksgiving, so we can’t draw any real conclusions for March just yet. But for some, there are reasons to be alarmed. Everything could be fixed, but some problems are more serious than others. Let’s grab our stethoscopes and play pediatrician for some of these young teams, seeing who will be just fine and who might have some more trouble ahead. After firing Steve Donahue, whose teams were always intriguing but always felt one year away from even reaching the middle of the pack in the ACC, Jim Christian’s tenure moves into year three. Last season, he was left with a few senior holdovers, a graduate transfer, a gaggle of freshman, and not much else. The Eagles started the season streaky. They won their first three games, then dropped six in a row, then added four more wins. Sitting at 7-6, they headed to ACC play. They played 19 games in conference and lost every single one of them. They return some freshman and brought in a few more transfers, but expectations are still low in Chesnut Hill. Then things got darker after a season opening loss to Nicholls State at home. Yes, the Nicholls State who was ranked #315 in the preseason KenPom rankings. They straightened things out last night with a win over Maryland-Eastern Shore, as much as you can straighten anything out by beating Maryland-Eastern Shore (337th in the current KenPom ranks). Here’s the problem for the Eagles: the ACC schedule they’ll face this year is even better than it was last year. The league is stacked, unquestionably the best in the nation right now. 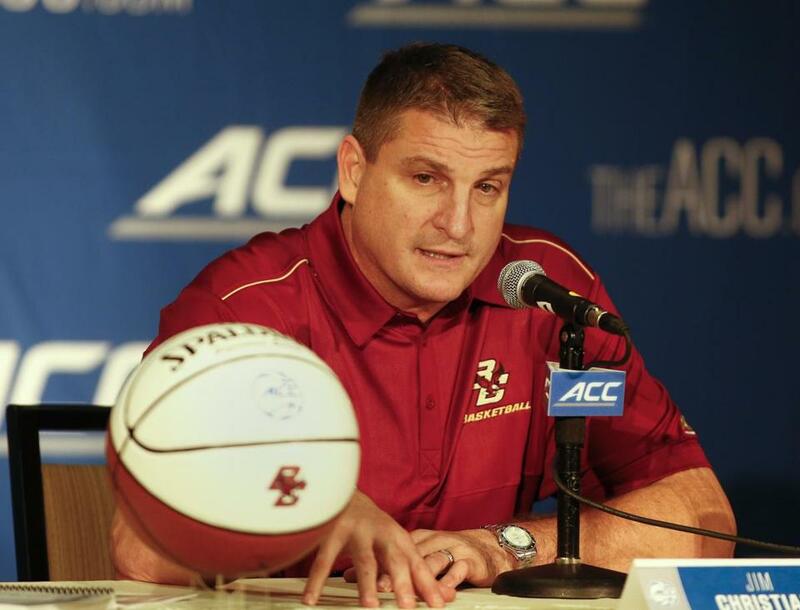 Starting December 23, BC will play Providence and then their ACC foes. All 19 of these games will feature an opponent in the top 100 of the KenPom rankings. Pomeroy’s system projects they will lose all 19 of them, (and the neutral court game against Fairfield just before this brutal stretch). In fact, that projection system gives them no better than a 36% chance to win any one of those games and gives them a better than one-in-four shot in only four of them. Obviously, numbers on the page don’t mean doom for BC, yet they do signal some serious potential difficulties. If they are to struggle as mightily as they did last year, there will be a lot of fingers pointed their way as an embarrassment to the conference (or internal fingers embarrassed for the school itself). Combined with BC’s football troubles, the Eagles could be in hot water in the ACC. They need wins, because they aren’t selling tickets or grabbing eyeballs in New England. Christian may not get the benefit of the doubt in the same way Donahue did for an extra year, especially if his boss, AD Brad Bates, is shown the door. The youngsters and the transfers on the Heights need to get every win they can before running through their slog of a schedule. Losing to Nicholls State? Not the place to start. Wait, that Michigan State? The bedrock of college basketball success? Yes, it’s been a tough first week for Sparty on the biggest stage. After losing a heartbreaker to Arizona at the Armed Forces Classic, Izzo and the gang flew all the way to New York to receive a beatdown from Kentucky. Before we start to nitpick, let’s address the obvious: both of these losses came at the hands of top 10 teams on neutral courts. In medical terms, this would be like visiting your doctor about headaches and nausea after a three day bender in Vegas. Much of what we’ve seen from the Spartans can be attributed to the level of their opponents. That being said, everything is not perfect in East Lansing. Arizona was without one of their best players and Kentucky blew out the Spartans with relative ease. The case for Michigan State before the season was built around Izzo’s ability to replace Denzel Valentine. Between the production of high-profile freshman Miles Bridges and the intangibles of now seasoned vets Eron Harris and Tum Tum Nairn, there was certainly a blueprint for the post-Denzel era. Having seen Michigan State twice? It’s patently obvious just how vital Valentine was to that team last year. Set aside him acting like a coach on the court, he brought the ball up the floor and then the offense ran through him, by him, and for him. Bridges has been electric, averaging 14 and 10 in two contests thus far. Yet Sparty’s troubles have come elsewhere, unable to create, develop, or sustain offense outside of Bridges. That’s where Izzo expected to be able to rely on Nairn and Harris, both of whom have been underwhelming. In fact, when Michigan State came out for the second half last night against Kentucky, both Nairn and Harris started on the bench in favor of freshman replacements. Tom Izzo is not an impulse coach, so when he does make a move like that, it stands out. In the end, they have tons of time to settle in, work on getting better shots in the flow of their offense, and getting used to playing with one another. 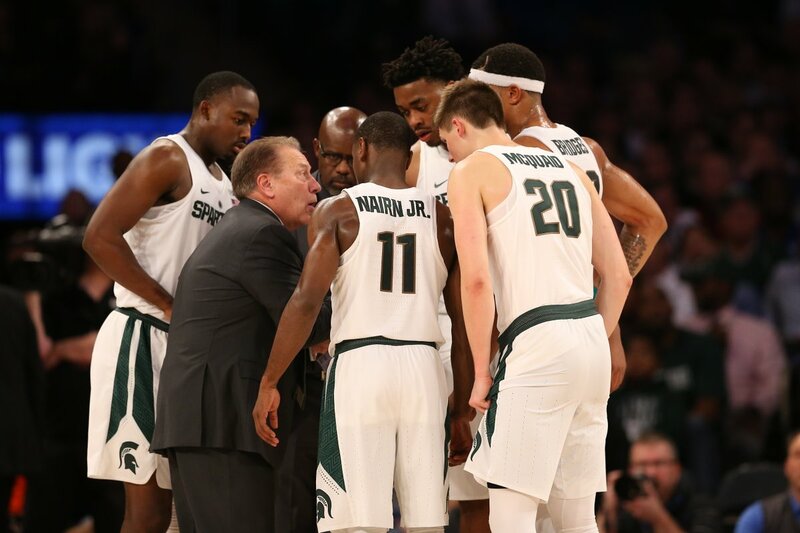 These early losses may be dings when comparing resumes for top seeds in March, but with Izzo and his devil magic at the helm, Sparty will be able to collect themselves well before then. America’s basketball pundits are all hovering their hands above the panic button for the boys from Storrs. They started the season with a home loss to Wagner, in which Jalen Adams shot 3-12 and the Huskies managed only 23 points after halftime. Three nights later, they were outrebounded and out-Huskied by Northeastern. UConn shot a putrid 5-21 from beyond the arc in that game. Meanwhile, Wagner lost to UMass-Lowell, so we could all throw out the “Maybe Wagner isn’t that bad?” theories to explain away the season opener. 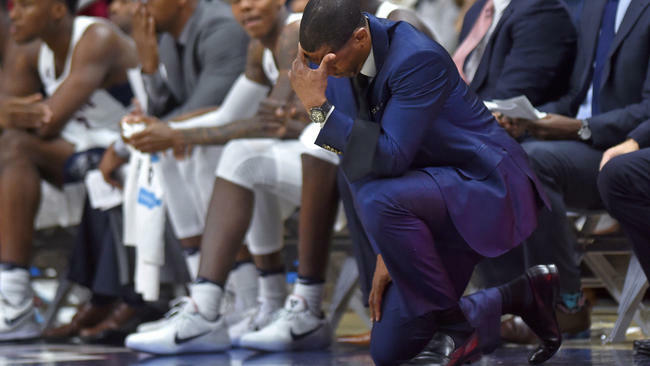 UConn is another team scrambling early on to replace departed players from last season. Daniel Hamilton, Sterling Gibbs, and Shonn Miller are gone. Despite an entire summer and early autumn practicing without them, the Huskies have looked lost without the scoring punch from those players. You could shake off their shooting woes to rust or a cold streak, but good teams survive cold streaks or get better looks against Wagner and Northeastern. One loss to a sub-par team is a mistake. Two is a trend. UConn needs to figure things out relatively fast. They travel to Loyola Marymount for a true road game before heading to Maui. If they continue to play like they have been, they’ll find their way into the loser’s bracket in Hawaii and in search of more answers.